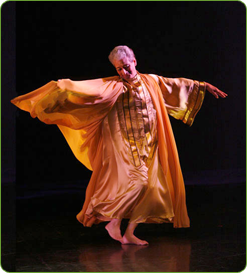 JANAK KHENDRY DANCE COMPANY has a very extensive repertoire of more than one hundred and twenty-five innovative and traditional works that have been created by the Artistic Director, Janak Khendry . 1965–SHYAMA – New York City. 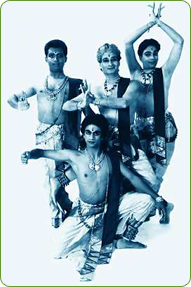 1968–DANCE of SHIVA – New York City. 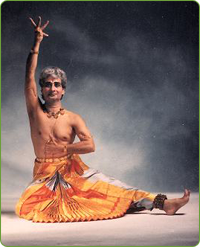 1970–KUMARASAMBHAVAM – New York City. 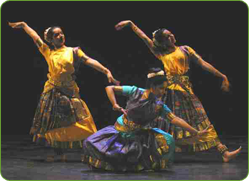 traditional Bharatnatyam repertoire of ninety important works. 1994 – The MONK, The COURTESAN and The CHARIOTEER, commissioned by the Los Angeles County Museum of Art, in conjunction with a special exhibition “PEACEFUL LIBERATORS”. 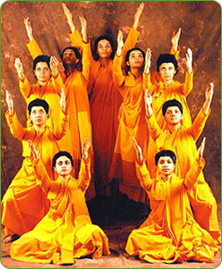 This work has been performed in eighteen cities around the world. This work has been performed in sixteen cities. This work has been performed in fifteen cities. 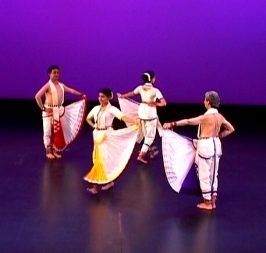 In 1999 this work was performed in Philadelphia at the international JAINA conference for the record audience of nine thousand people. 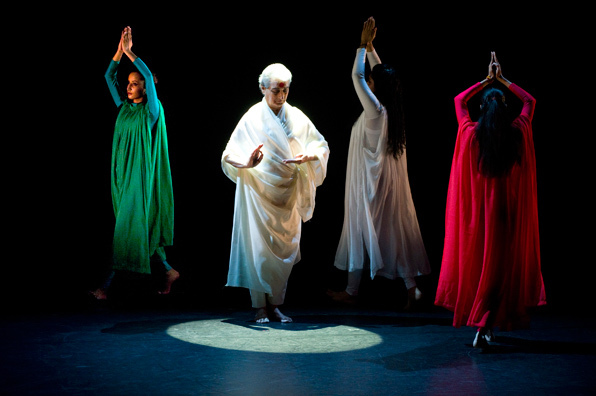 This work had nineteen performances in Canada and India and was sponsored by the Department of South Asian Studies, University of Toronto. 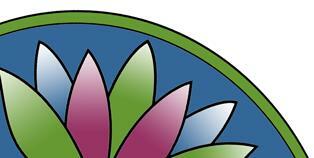 This work was sponsored by the Department of South Asian Studies, University of Toronto. from fifteen minutes to two and half hours in length. The word Upanishad literally means “come sit besides me” or to sit at the feet of a teacher. The Upanishads are essentially dialogues in the form of questions and answers between a student who desires spiritual knowledge and the teacher who leads him on the path of knowledge. The Upanishadic thought is considered to be one of the most original thoughts in the history human thought. Taken in its entirety it bears a startling resemblance to understanding of the cosmos, particle physics, quantum mechanics and theory of evolution. The most important direction the Upanishads point is the spiritual unification of ATMAN and BRAHMAN. DREAM of a DRUNKEN GOD, idea was developed from the work of Heinrich Heine. At the banquet of the gods, our god gets drunk and falls asleep on a lonely star and in his dream creates the images of his imagination. When he wakes up, rubbing his sleepy eyes, he smiles and his creation sinks into oblivion, as if it never existed. 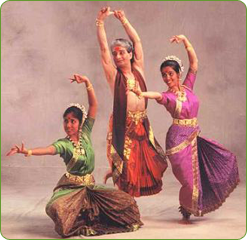 Chandrakauns is one of the most beautiful Ragas in the Indian music system. The word Chandra means the moon. Chandrakauns has the gentleness and brilliance of the full moon. 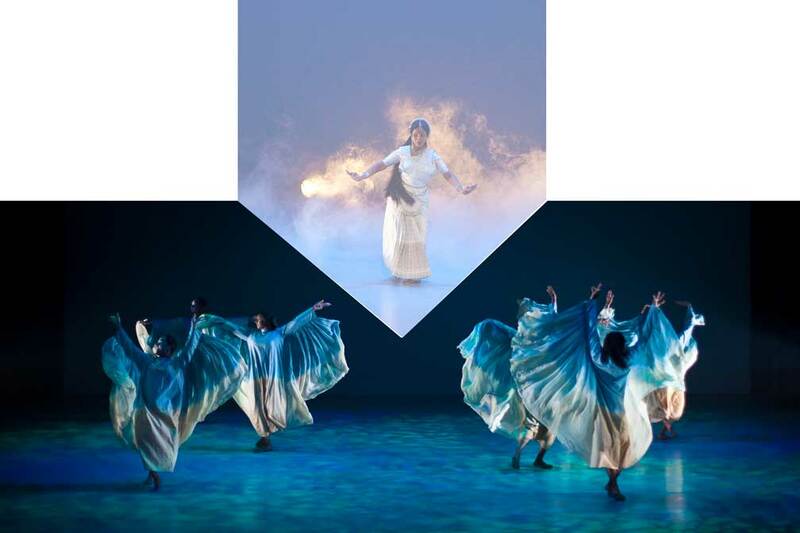 We have given the Moon, the Moonlight and the Moon Rays, human characters and presented them in a dance work. The moon, because of its beauty, is the envy of all gods. The Moon Light, his beautiful wife and the Moon Rays, his children, are the like between heaven and earth. They carry his light, filling the space and earth. WHAT IS GANGA? GANGA is a river, GANGA is flow of life, GANGA is a goddess, GANGA is a beautiful woman, GANGA is the daughter of Brahma, GANGA is the consort of the Gods and GANGA is the life breath of people. Our presentation is the story of a very important river in India which has a history of four thousand years and has sustained millions of people for forty centuries. The river is one of the greatest spiritual symbols of life. GANGA is a symbol of purity and eternal cycle of life, one that pervades the Heaven, the Earth and the Underworld in Time and Space. According to Indian thinking the divine consciousness manifests through Creation, Preservation and Destruction which is connected with three supreme Gods, Brahma, Vishnu and Shiva. Brahma is the Creator, Vishnu is the Preserver and Shiva is the Destroyer. GANGA is the creation of all three Gods. The energy was started from the big toe of Vishnu, which was collected by Brahma in a Kamandal (brass pot) and given the form of a beautiful woman. Before GANGA descended on earth, she was held captive in the hair locks of Shiva and was charged with His energy. 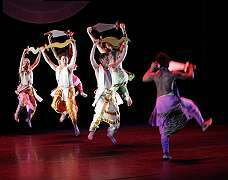 KAAL – TIME, an innovative dance work that tells the extraordinary cosmic and modern story of time, presented by Janak Khendry Dance Company. 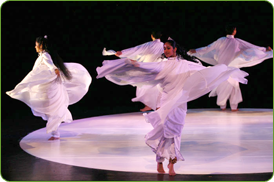 Conceived and choreographed by Artistic Director Janak Khendry with music by India’s renowned Ashit Desai. Kaal is the Sanskrit word for “time.” It is most appropriate that a work about time is presented in 2012. There are numerous beliefs that a cataclysmic or transformative event will occur this year. The Mayan’s 5,125-year-old calendar resets to 0.0.0.0.0, leading to endless dark prophesies; Nostradamus predicted massive destruction in 2012 as the result of a comet; according to Indian scriptures, we are in the age of Kalyuga (The Age of Darkness); and there are numerous other predictions about this significant year. Based on three years of research of the ancient Indian scriptures – Rig Veda, Atharva Veda and Shveta Upanishad – and works of western physicists conducted under the guidance of eminent Vedic scholar Dr. Tulsiram Sharma, KAAL – TIME tells a fascinating story about the history of time: how time came into existence 14.9 billion years ago with the Big Bang; how galaxies, planets, elements, night and day cycle and seasons were created and, finally, how time comes to an end. KAAL – TIME is experienced in both a cosmic dimension and a modern perspective. 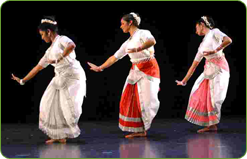 KAAL – TIME was performed by an ensemble of fifteen accomplished dancers who perform a myriad of dance styles ranging from classical Bharatanatyam, Kathak, Odissi and other South Asian disciplines to western contemporary. 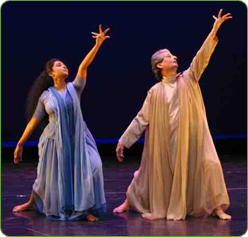 records of all the works created by the Artistic Director Janak Khendry since 1961.
computer and video for the use of future dancers.